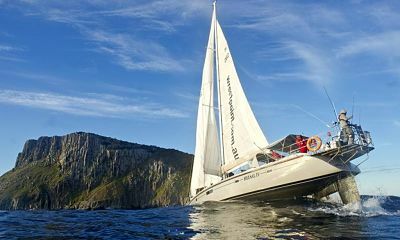 Australia is famous for being an adventure destination, and boaters are drawn to the promise of its beautiful waters. While the territory of Australia is expansive, Sydney, the Whitsundays, and Tasmania are all excellent places to begin your boating discovery of this remarkable continent. Equally famous for both its barren and beautiful Outback as well as its Great Barrier Reef, Australia is a country of many faces. For boaters, no place on the planet can offer quite the same unforgettable sights and experiences as “the land down under.” While this continent’s coastline is both stunning and expansive, there are several select boating locations that are sure to please boaters of every experience and skill level with their varied activities and breathtaking views. There is so much more to Sydney, Australia than just the illustrious Sydney Opera House — especially where boating is concerned. This diverse city is teeming with sites to visit and things to do, and there are plenty of hospitable marinas in the area where you can tie up your boat. 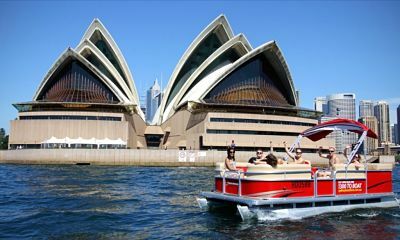 The city of Sydney includes at least four distinct areas that are worthy of a boater’s attention, and each of them has its own distinctive personality. Renting a boat in The Rocks will give boaters a taste of the urban atmosphere for which Sydney is renowned. There are a number of cultural and historic centers to explore such as the Sydney Observatory and SEA LIFE Sydney Aquarium, as well as multitude of shopping and dining opportunities. Boat lovers will appreciate Circular Quay in particular because of the historic ships that berth there. Double Bay enjoys a quieter, more suburban atmosphere than The Rocks while still offering spectacular boating grounds and plenty of activities ashore. Independent boutiques and cafes are de rigueur here, and lovely parks offer enchanting views of the water. Mosman is a great place to take the family, and after a full morning of boating you can put into a marina and take them to the Taronga Zoo or one of several beautiful beaches for some fun in the sand. Boaters who can’t get enough of nature will enjoy the outdoor cafes, hiking trails, and snorkeling opportunities that Mosman is known for. Boating “beach bunnies” will definitely want to chart a course for Manly to bask in the sun on many of the exquisite beaches that cover the area. Cycling trails, a quaint promenade, and outdoor markets will lure even the most enthusiastic sailor ashore for an hour or two. Island hopping in the Whitsundays is one of the best ways to get acquainted with the raw, natural beauty of Australia. Its proximity to the Great Barrier Reef (in combination with its own considerable charms) makes it an excellent stop for boaters who wish to see the lush wildness that has helped create the region’s reputation. Comprised of 74 islands (seven of which offer lodging) and boasting the biggest bareboat fleet in the South Pacific, boaters will find both plenty of territory and the means to explore this luscious land. Depending on what type of boating experience you wish to have, you will want to keep the seasons in mind when planning your trip to the Whitsundays. If you fancy a challenge, then shoot for a spring voyage. If cruising is more your style, then plan an island boating excursion in the autumn. Since much of the area is under federal protection, the ecological marvels of the Whitsundays are greatly preserved. You can find excellent fishing off of Whitsunday Island, Hook Passage, Nara Inlet, Haselwood Island, or Shute Harbour, or you can relax in the sun on one of the most incredible beaches in the world — Whitehaven Beach. Feed your thirst for adventure by undertaking the Ngaro Sea Trail, which traverses both land and sea paths to give you the complete Whitsundays experience. Bearing the distinction of being the 26th largest island in the world, the gorgeous island of Tasmania offers a side of Australia that cannot be found anywhere else. 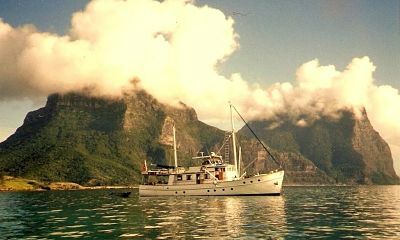 Its sprawling, marvelous coastline features a variety of sailing conditions to appeal to any boater. With its rich history and varied aquatic environments, boaters will delight in investigating this oft-overlooked Australian gem. The three prominent regions of Tasmania are each unique in the experiences and sights that they can provide. To the north of the island are meandering estuaries that adventurous boaters can traverse, the historic Port Stanley, as well as calmer cruising grounds for those boaters who would rather that their journey be more low-key. The eastern side of the island is the home of Port Arthur — an open-air museum that once housed convicts — and the cosmopolitan capital of Tasmania, Hobart. Georges Bay and Coles Bay will ensure that you are never without a place to put your boat, and St. Helens is often referred to as the game fishing capital of Tasmania. To the west you will find more challenging sailing conditions — where experienced sailors can test their mettle. Strahan offers a convenient stop along the coast where you can get some well-deserved rest before continuing your tour. Australia’s reputation as a land of beauty and adventure is well deserved, but no amount of words can compare with the experience of actually boating her waters and seeing it for yourself. Because the continent and its surrounding islands are so massive, it can seem overwhelming at first when deciding where to go. While there is true appeal practically everywhere, Sydney, the Whitsundays, and Tasmania make for excellent places to start. Whether you are looking for smooth sailing and big-city excitement or roaring winds and astonishing coastal views, you will find the experiences you seek in Australia.